Newspaper Rock: "You damn redskin!" My Indian gut told me something was not right. The car stopped and the young men all got out while I stayed in the middle of the back seat. After they took care of their business, one of them said, “Hey, why don’t you get out?” I said, “No, I don’t have to.” Then one of them said in a loud, angry tone, “You will get out, now!” With no choice, I slowly got out of the car while they all stood on the right side of the road all looking at me with squinting hateful eyes and clinched fists. I sensed movement to the right and behind me. I quickly turned and ducked as one of them swung a bottle of beer toward the back of my skull. When I ducked, he hit the car door and the bottle shattered. The battle for my survival was on. "Remarks by Clem Ironwing, Sioux, during a public Mascot/Identity Committee hearing." 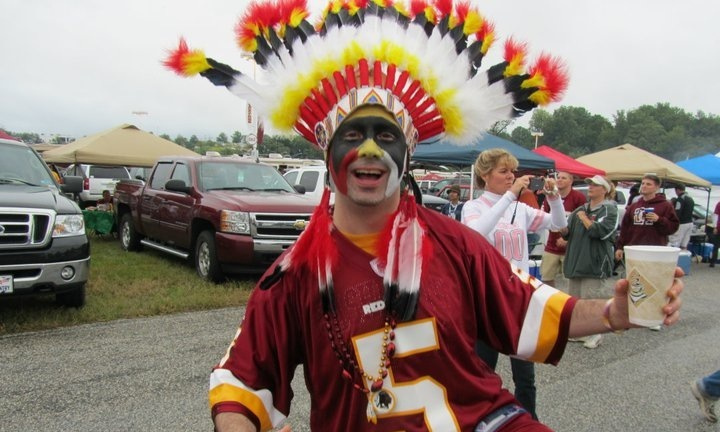 "The word Redskin was taught to me at a very young age, and this is the meaning it has for me. "I am a Native American. I grew up on an Indian reservation. As a child, the United States Government and the Catholic Church came into our homes, took us away from our families, and forced us into Catholic boarding schools. There was no choice to be had in this matter, you had to go. The Catholic Church with the blessings of the United States Government took it upon themselves to determine that we were savages, and needed to be transformed to fit into their society. "The only way 'redskin' was ever used towards my people and myself was in a derogatory manner. It was never, ever, used in a show of respect or kindness. It was only used to let you know that you were dirty and no good, and to this day still is."